My friend Jen is a great cook. She likes trying new things and we sometimes get lucky and are invited over for dinner! 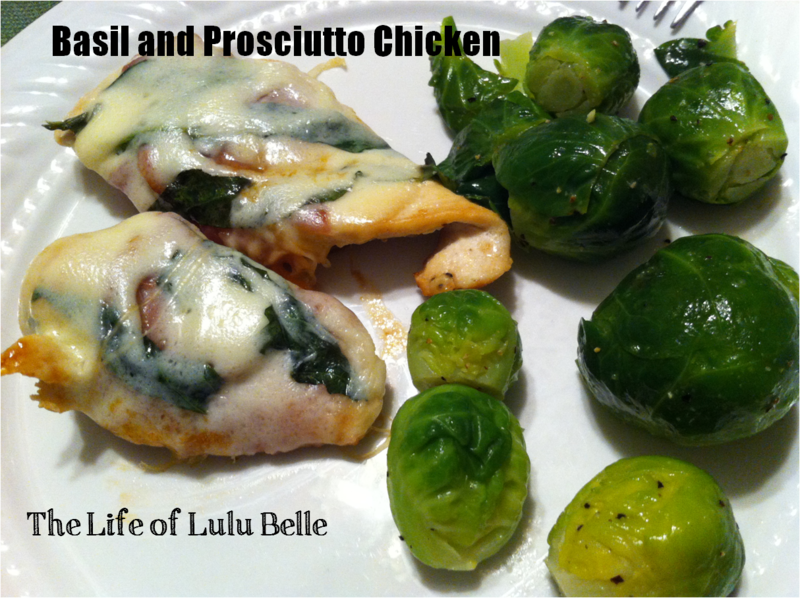 I’m not a huge fan of prosciutto and my husband isn’t a huge fan of basil, but in this dish, this prosciutto-basil chicken, it tastes amazing! Jen got this recipe from a friend who got it somewhere online. It’s been altered a bit here and there along the way. I don’t think mine came out quite as good as Jen’s, but that could be because I didn’t have to cook it the first time! I think I could probably have taco night at least 3 times a week. That, and just eat green beans or potatoes to accompany my protein source. Pretty boring (but delicious). My husband could actually eat the same 3 things every week, but I feel like we should have some diversity in our meal planning. He also likes to eat a fairly strict primal diet that is grain-free and almost always without white potatoes. I like to eat that way too, so at least he keeps me honest! 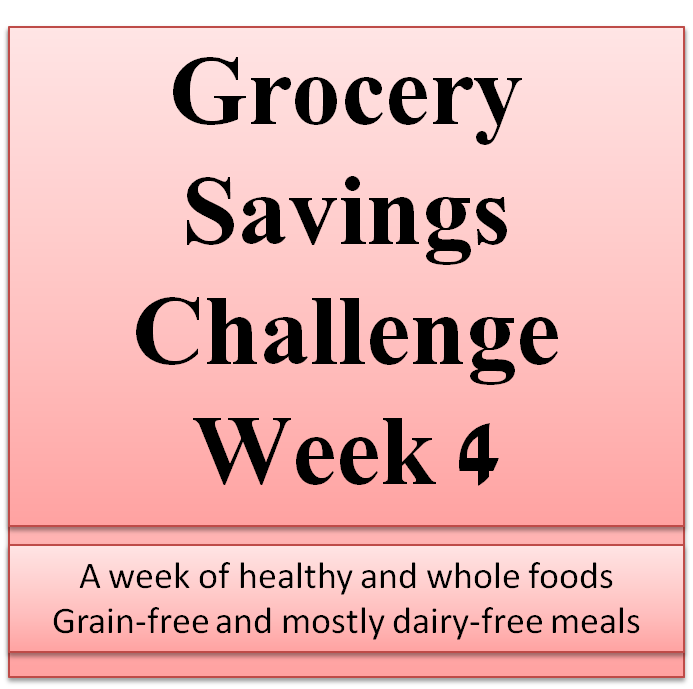 Next month I am going to do something similar to the Grocery Savings Challenge, but post totals by the month. We are also ordering our eggs and most of our meat from local sources that pasture-raise their animals, so it might be interesting how much we will spend choosing quality of cost. We have been getting some lovely weather here; the wind is a bit chilly, but a sunny 50-60 degree day is still nice! We even used the grill last night! I’m in the middle of Spring cleaning and a teething baby, but I plan on posting recipes, Valentine’s Day ideas, and a glimpse at our bathroom remodel project coming up! Anyone try a new recipe this week? 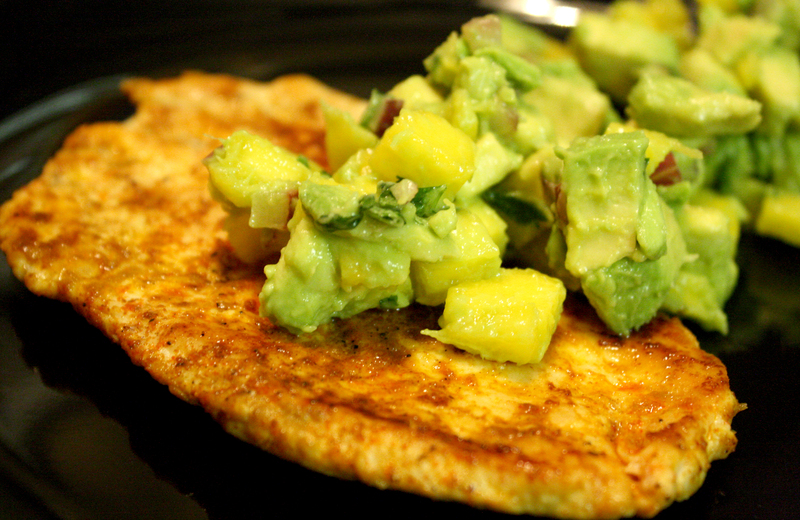 Today’s dinner was one of my favorites: thin chicken breasts seasoned with chili, lime, and other spices, then grilled and served with a mango and avocado salsa. It really hit the spot! I could also eat the salsa by itself. I had to stop eating it by the spoonful or else there wouldn’t be enough for dinner! The salsa lasted us about 3 servings, but it could be more if I didn’t eat half of it just myself. It probably makes about 1 cup of salsa. I can’t wait for the Farmer’s Market to open in May; local produce for better prices! But until then, I am left to wander the produce aisle at the grocery store (our former CSA box was just too much for us two). I have been really craving strawberries and soon the many stands along the side of the road will be open as well. But enough dreaming about the upcoming months (oh my goodness we will have baby in less than 3! ), here is this week’s plan.